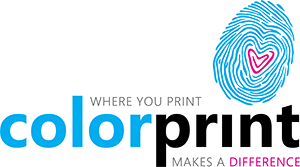 With 25 years in business, the Colorprint team has the extensive experience you need for all printing and mailing services. We've handled every type of job and our goal is to provide an error free product that will exceed customer expectations. Our company philosophy is to bring the best quality at the best value with competitive prices and delivering on our word. Whether you’re a small business or calling from a large bay area tech company, we’ve got what it takes to you’re your needs. We pride ourselves on being the best, most trusted printing and direct mail partner of hundreds of bay area businesses and understand what it takes to get the job done right working within your crucial deadlines. We do everything from standard print and mail jobs to custom projects. Our attention to detail and clear communication makes all the difference in your finished product. We want you to have confidence in our team and come back for all your commercial printing and mailing needs.